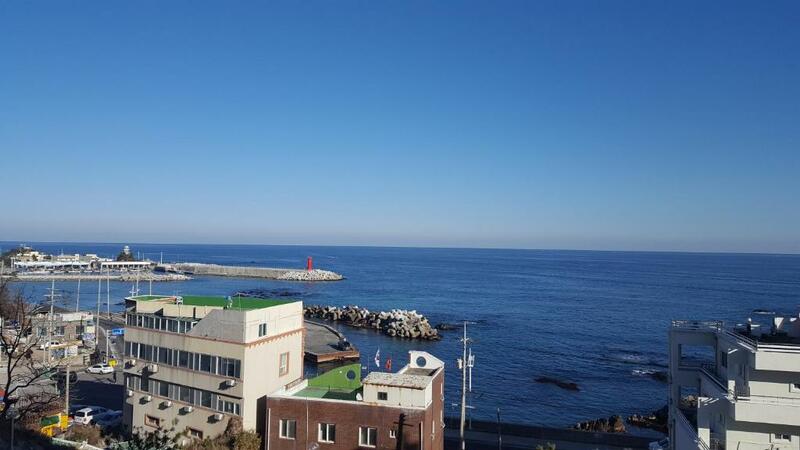 Located in Gangneung, within 12 miles of Gangneung Olympic Park, Yongie House offers accommodations with air conditioning. This apartment provides accommodations with a terrace and free WiFi. This apartment comes with 1 bedroom, a flat-screen TV, and a kitchen with a microwave and a fridge. There's a bathroom with a hair dryer. The apartment has a grill. If you would like to discover the area, fishing is possible nearby. Jumunjin Port is a 17-minute walk from Yongie House, while Jumunjin Tourist Information Center is 0.9 miles from the property. The nearest airport is Yangyang International Airport, 15 miles from the property. When would you like to stay at Yongie House? This apartment has air conditioning, washing machine and microwave. House Rules Yongie House takes special requests – add in the next step! We need at least 5 reviews before we can calculate a review score. If you book and review your stay, you can help Yongie House meet this goal.